I offer yoga classes that may be anything from traditional Ashtanga Yoga to Chair Yoga to a blend of yoga styles that include creative, innovative moves designed to restore and awaken the body. All of my classes include focus on the breath. I aim to offer yoga tailored to the individual, that arises out of current biomechanical understanding of real bodies; provides deep rest and rejuvenation; buids strength and functionality; and isn’t biased towards flexibility. Yoga practice can help us to be more embodied, and better able to self-regulate our energetic and nervous systems. Yoga is about self discovery and self empowerment. I offer group and private classes, but I’d also like you to develop the skills and insights to practice at home as well. 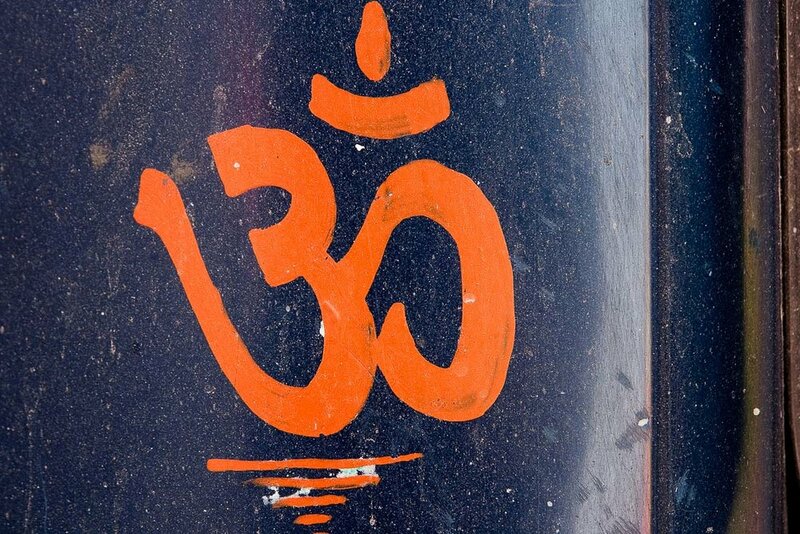 Sanskrit, the language of yoga and meditation, adds depth and meaning to these practices. Reading and chanting Sanskrit is a great skill for yoga teachers and serious students but is also a stand-alone practice in itself. There are no prerequisites. You don't need to know anything about yoga or meditation. Felt in the body, chanting Sanskrit is truly an embodied practice. Its sound and vibration is a pathway to a meditative state. For those interested in yoga philosophy, studying texts in Sanskrit can greatly enrich one’s understanding on a felt as well as congitive level. Teaching for the American Sanskrit Institute, I offer Introduction to Sanskrit level 1 and 2 weekend level immersions—each 12 to 14 hours. These weekends are fun, transformative and empowering experiences. Focused on learning the Sanskrit alphabet, or Devanāgarīi, we also learn to read simple words, and practice writing. Afterwards, you’ll know the alphabet—itself a lovely chant—and you’ll have the tools you need to explore your favorite sutras and chants. I offer private Sanskrit tutoring for those who have attended my immersions. Meditation is also known as Mindfulness practice. Through sustained concentration on the breath or the body, or through use of mantras or yoga sutras, the mind becomes quieter, and one’s essential nature is revealed—clear, pristine, radiant. We meet this deeper aspect of ourself, most often obscured by our active minds and busy lives, for brief moments, and sometimes for longer periods of meditation. Through regular practice, we can access these states of clear seeing not just while meditating, but in our daily lives. We develop insight, and learn to be less reactive and more responsive—to what arises in ourselves, and to what life brings us. We can see others more vividly, we can experience whatever we encounter more clearly. I offer meditation instruction and lead meditation practice in a yoga class setting, as part of a meditation series, or in private sessions. Experience Delhi, Agra, Jaipur—Northern India’s “Golden Triangle”—and a yoga and meditation retreat in the spiritual mecca of Rishikesh, gateway to the Himalayas, along the beloved and powerful Ganges River. Calming and grounding, Sanskrit mantras help unwind and dissolve restrictive patterns, creating more ease and increased vibrancy, clarity and opening to a luminous natural state. Explore mantra as a support and enhancement for meditation, yoga, and yoga Nidra. Elevate your practice with yoga, meditation, exploration and star gazing. Immerse yourself in the Sacred Valley of Peru, known for its powerful spiritual energy. Practice slow flow, breath work, restorative yoga and more as we ease into this sacred space where sky meets mountain..